Spokane is a city located in the state of Washington in the northwestern United States. On the 1st (Sun), take in the dramatic scenery at Spokane Falls. For maps, photos, and more tourist information, read Spokane travel route tool . Norfolk to Spokane is an approximately 9-hour flight. You can also drive; or take a train. Due to the time zone difference, you'll gain 3 hours traveling from Norfolk to Spokane. Traveling from Norfolk in September, things will get slightly colder in Spokane: highs are around 73°F and lows about 50°F. 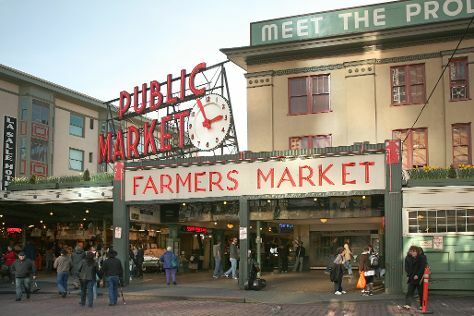 Finish up your sightseeing early on the 2nd (Mon) so you can travel to Seattle. Start off your visit on the 3rd (Tue): enjoy breathtaking views from Space Needle, get a taste of the local shopping with Chihuly Garden and Glass, then stroll through Kerry Park, and finally wander the streets of Pike Place Market. For reviews, other places to visit, more things to do, and more tourist information, read Seattle online trip planner . Traveling by flight from Spokane to Seattle takes 3.5 hours. Alternatively, you can drive; or do a combination of bus and flight. Expect somewhat warmer evenings in Seattle when traveling from Spokane in September, with lows around 56°F. You will have some time to spend on the 4th (Wed) before leaving for home.